Sakuya tells Keiichiro and Tsukasa that Noel is preparing a welcome party for himself tonight. But before they can enjoy that, they spot Goche wandering around nearby. They follow her and fight off Podamans. The Lups walk by from grocery shopping and see one of the Podamans has a safe on its head. That’s odd. Goche decides to try out the Collection Piece in that safe on Keiichiro. A bunch of pictures pop out of his head, but Goche is unhappy with how little does fly out. She decides to leave and adjust the Piece some more. Tsukasa and Sakuya run over to Keiichiro. He recognizes Tsukasa, but not Sakuya. They collect the photos and head back to HQ where they realize the photos are Keiichiro’s memories. Keiichiro does not remember Jim Carter or even Commander Hilltop. Noel thinks the Collection Piece power wasn’t used correctly. But he thinks they can jog his memory somehow. Tsukasa shows him a photo of the Lups and they begin the recaps. Noel thinks there are more photos scattered around so Tsukasa and Sakuya go out to look. Noel notices Keiichiro seems to be reacting to the Lupinranger photo. He heads over to Jurer where the Lups also find a photo of them. He asks if they can help return Keiichiro’s memories, but they refuse. They say it would be easier for them if Keiichiro is out of the picture, so to speak, for good. 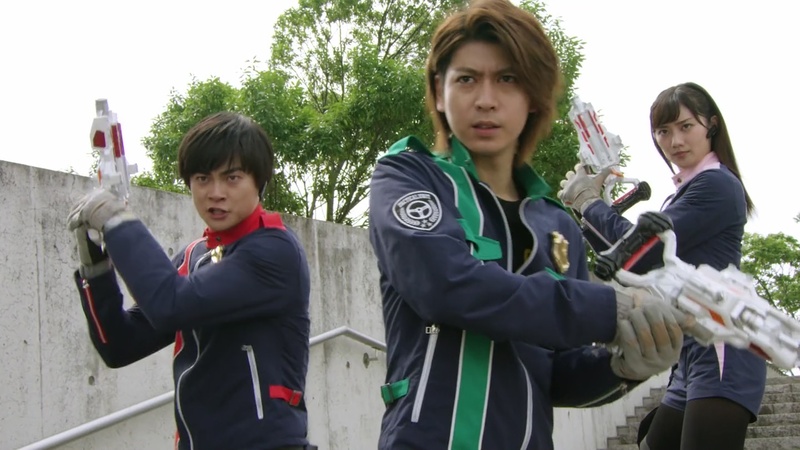 Noel says there’s a reason he is both a cop and kaitou and that they can be mutually beneficial to each other. So it’s a shame that the Lups don’t feel the need to help. Umika suggests Keiichiro mistreats women/is a creep. Noel tries to explain that Keiichiro sincerely wants to protect the peace of Japan. But the Lups insist that he is an annoying jerk. Noel says he will leave the decision up to them. Keiichiro manages to escape from HQ and engages Podamans downtown. He pulls out his blaster and seems to begin remembering things. The Lups arrive to take credit for his memories starting to return. The photos return back into Keiichiro’s head as his memories are fully back. 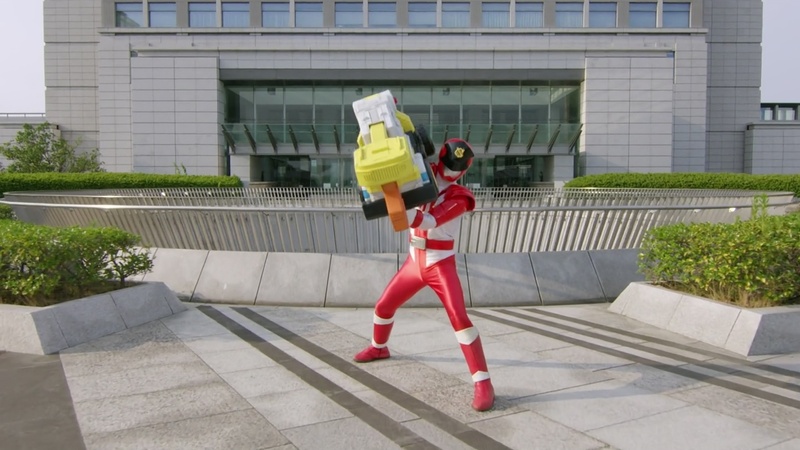 Tooma swipes the Collection Piece as Keiichiro manages to attach the Crane VS Vehicle onto his arm. He finishes off the safehead Podaman with a Strong Destruction Break. Good Striker flies in, but wonders why there’s no embiggened monster. He does his own recap and puts on a wig and makeup. Later that night, the Lups and Pats attend Noel’s welcome party and enjoy the end of summer fireworks in yutakas. Welp. It was a recap episode. Must have been movie-filming week. 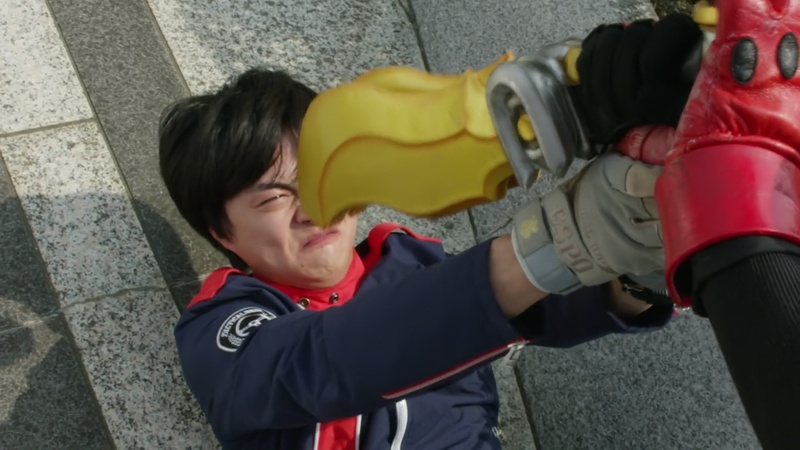 And honestly though, the flashbacks and the Lups reaction to Noel asking them to help return Keiichiro’s memory made them look selfish more than noble. Especially when the show made a pretty surprising choice to show the Pats in a much more positive light with the clips they chose. 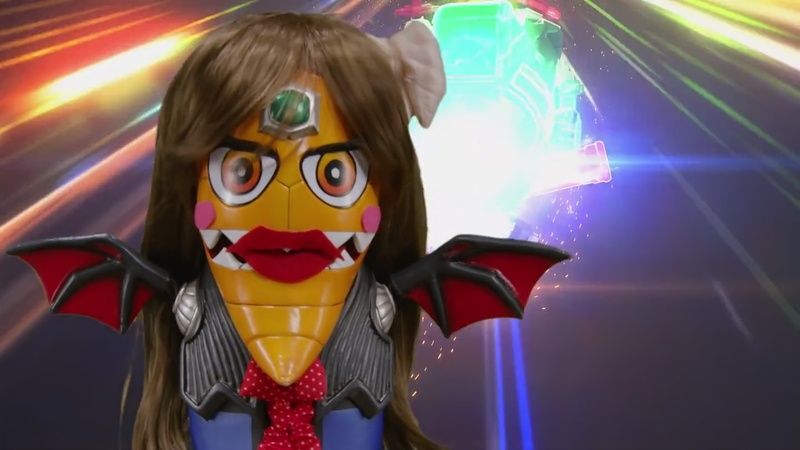 I would’ve expected more Patranger mocking, as has been the usual this season of course. WTF are you talking about? Neither translation makes any sense in any context. 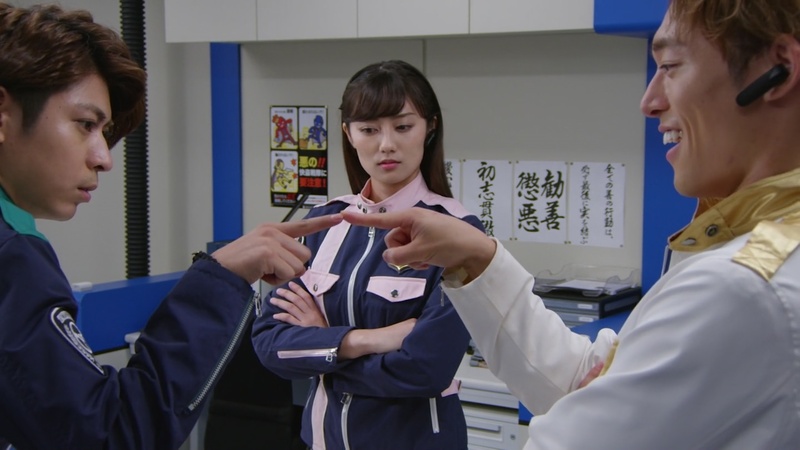 When the Lups try to pretend that they didn’t actually intend to help Keiichiro when they showed up to fight the Podamans, you actually believe them because they would just go for their own purpose and not for any greater good-type of reason. That’s just how they’ve been written all season. 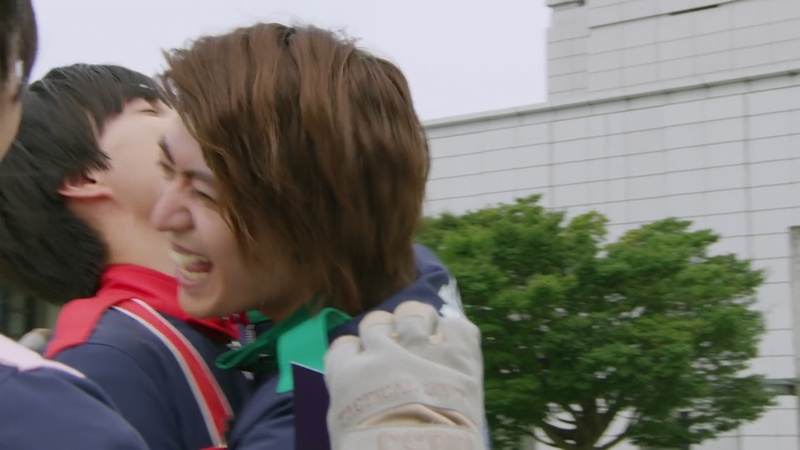 The only mildly enjoyable moments in this episode were Sakuya pulling Keiichiro-sempai into hugs all the time and Good Striker being random. Not to mention the fleeting reminder that Zamigo exists and still seems to be the most interesting character despite only showing up for maybe five minutes all season so far. The end of episode barbeque wasn’t even that fun either. Especially after Build‘s amazing barbeque a few weeks ago. So a standard recap episode. Yup, I agreed with you on this one. One thing I like is the about how Kei-chan thinks Ike Niwala (Hilltop) was Eddie Murphie. It’s totally funny, especially with Hilltop flat response.